Recent proposed changes to NSW Home Building Regulation by New South Wales Fair Trading are a risk to the health of the NSW public, according to industry groups the National Institute of Painting and Decorating, Master Painters Association NSW and Aussie Painters Network. The peak bodies are calling on the Minister for Innovation and Better Regulation, The Hon. Matthew Kean, to reject the proposal to scrap licensing for painting and decorating, and instead; tighten the existing regulations to include internal paint work. 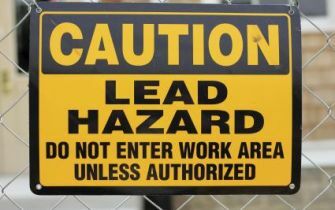 Lead paint is toxic, and is found in high concentrations in most buildings in NSW built before 1971. The known effects of lead paint on human health include dangers to pregnant women, impaired brain development in babies and children, and anaemia in adults. The most common exposures occur during home renovations on older homes when lead paint flakes and dust are ingested or inhaled by children or unsuspecting DIYs. Asbestos is found in most buildings built before 1990, and inhalation of asbestos fibres during paint preparation has claimed lives. Inhaled fibres may cause various lung diseases, including asbestosis. The National Institute of Painting and Decorating recommends that these highly toxic materials must be identified and treated by trained and licensed trades people, including painters.